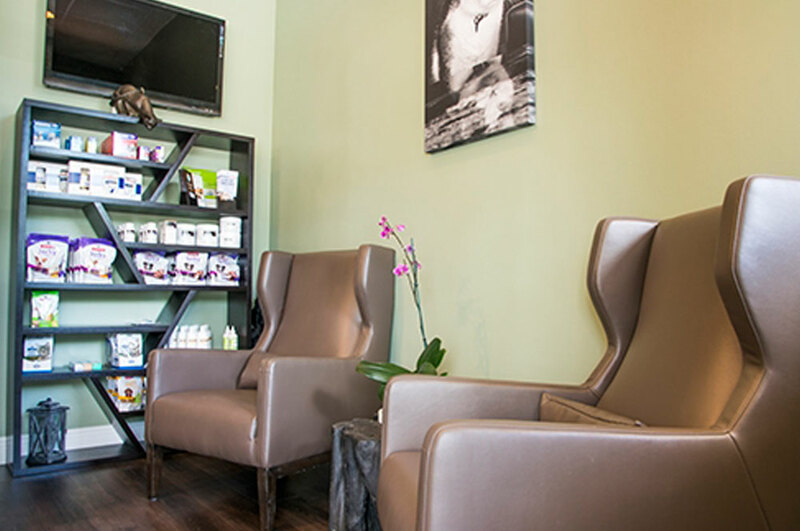 Our reception area was designed to be inviting and comfortable for all of our patients. Throughout our hospital, you’ll find designated areas for our cat patients. 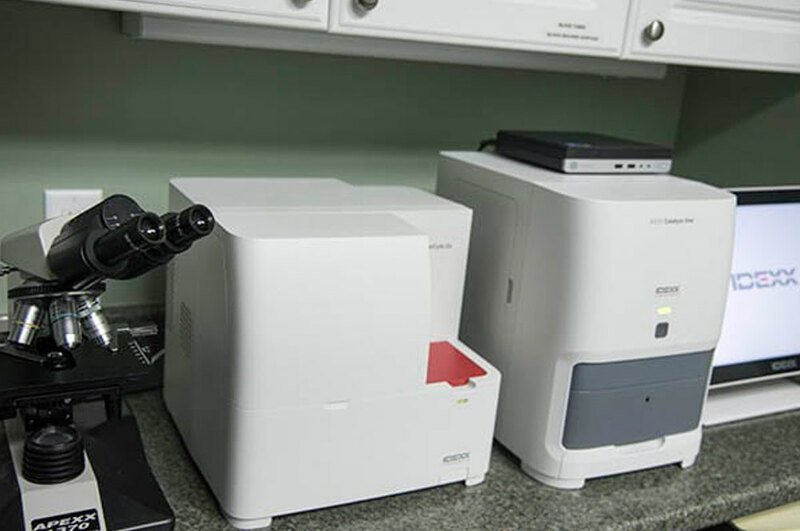 This allows them to experience a more relaxed and stress-free visit to the vet. 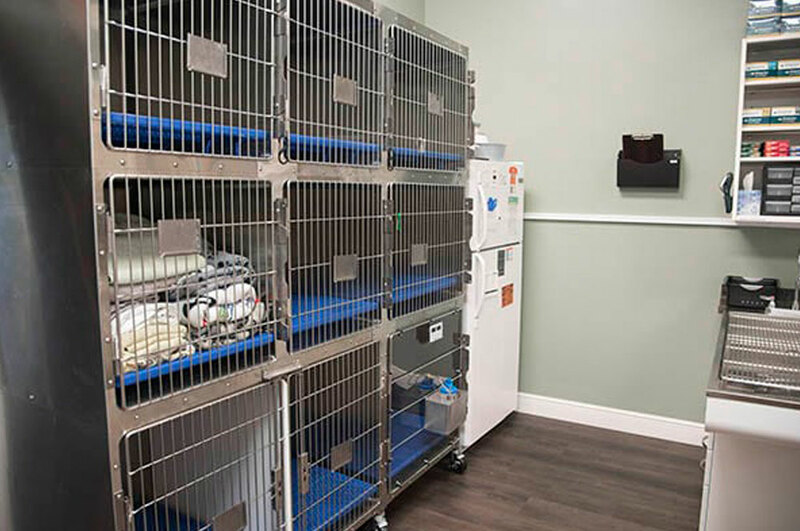 Our exam rooms for dogs are comfortable, and are fully stocked with updated veterinary equipment. 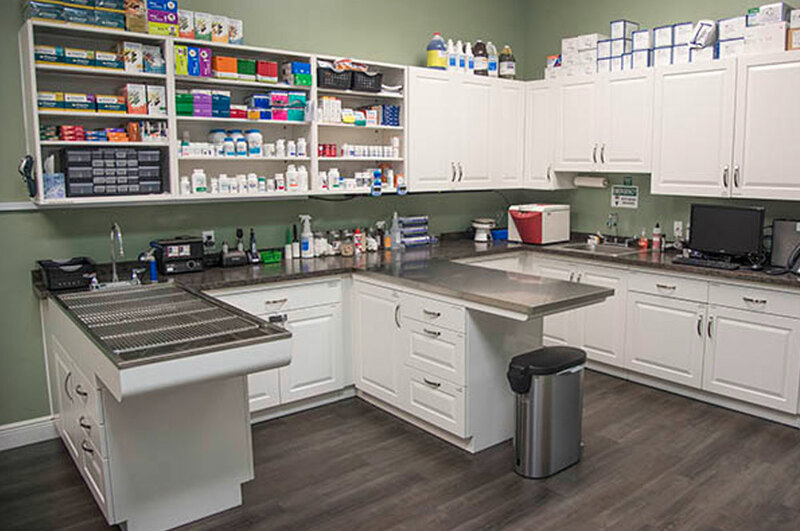 The clean, modern treatment area of our veterinary hospital includes a complete pharmacy and advanced diagnostic tools. 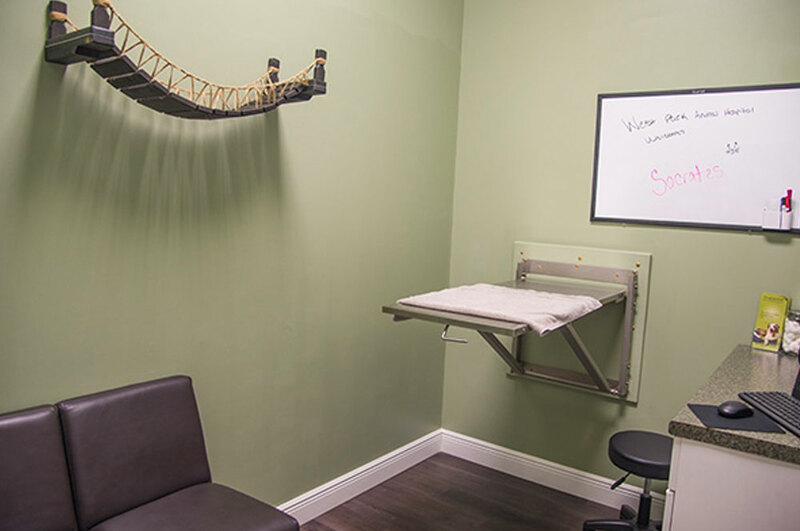 Should your pet need to stay with us for a procedure, you can trust that our Westchase office is outfitted with new, clean, cages, and we make every effort to ensure your pet is comfortable and happy during their visit. 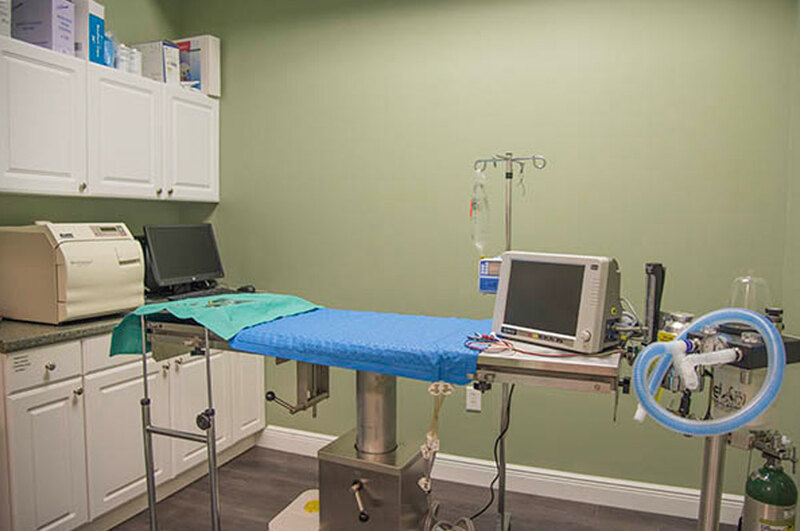 Our complete surgical suite includes advanced anesthetic and monitoring equipment to ensure our patients are as safe as possible. 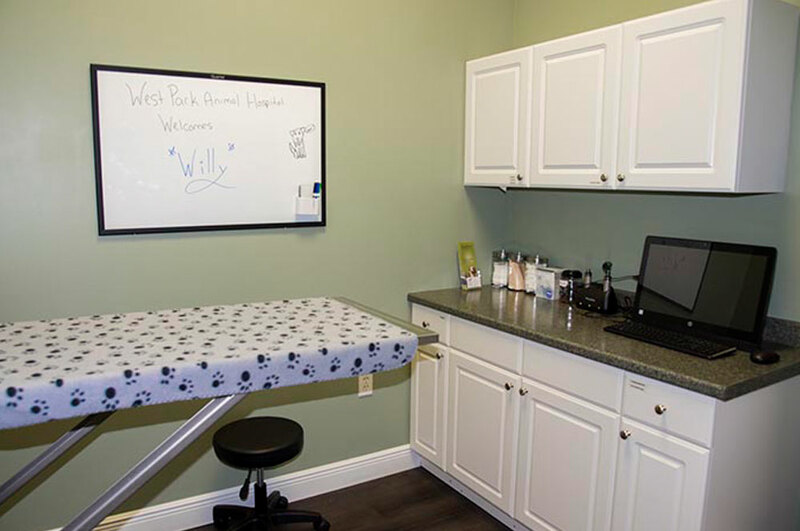 Additionally, all of our surgeries are monitored by a dedicated Veterinary Technician. 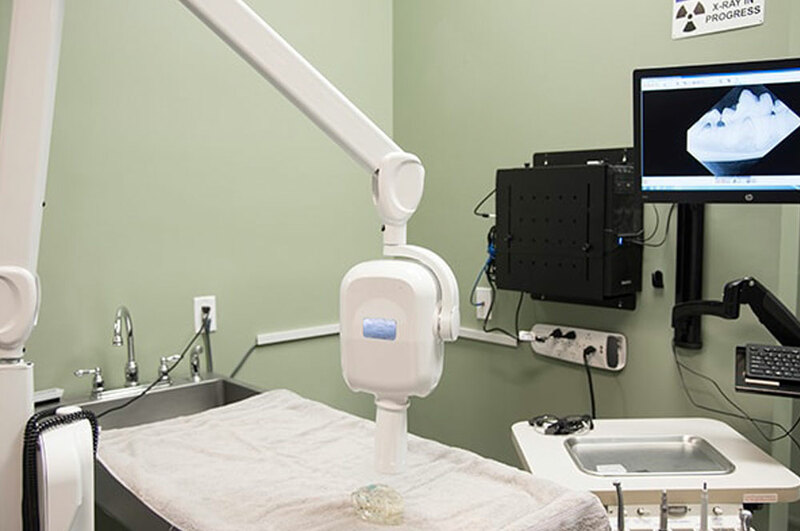 Our veterinary hospital has a dedicated dental suite with a digital dental x-ray system. 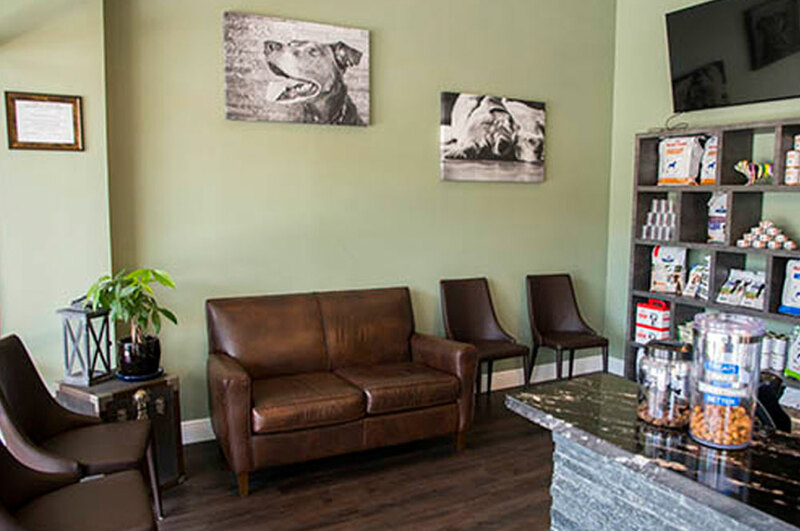 This allows us to complete dental procedures as efficiently as possible while delivering premium care to your pet. 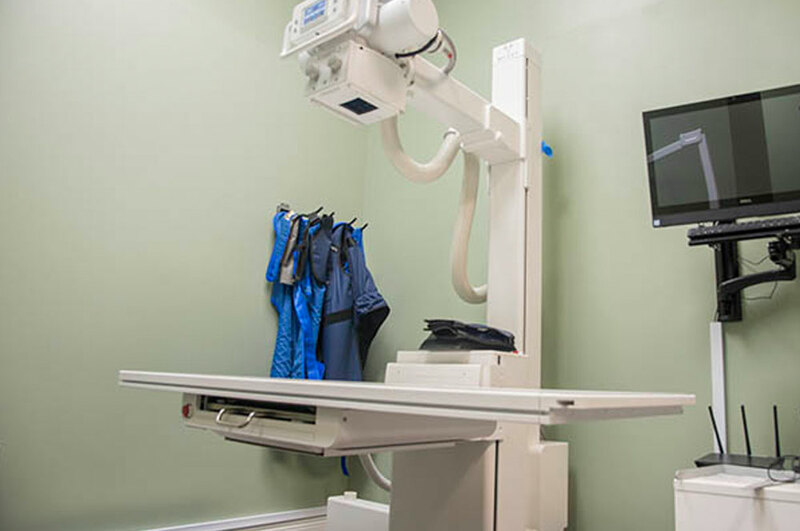 Our state of the art x-ray system allows us to take radiographs (x-rays) in the hospital. The table is designed to move in multiple directions to keep your pet as comfortable as possible during this process.